ARTCRANK Minneapolis 2013 - BrainstormOverload - Small design studio. Big ideas. 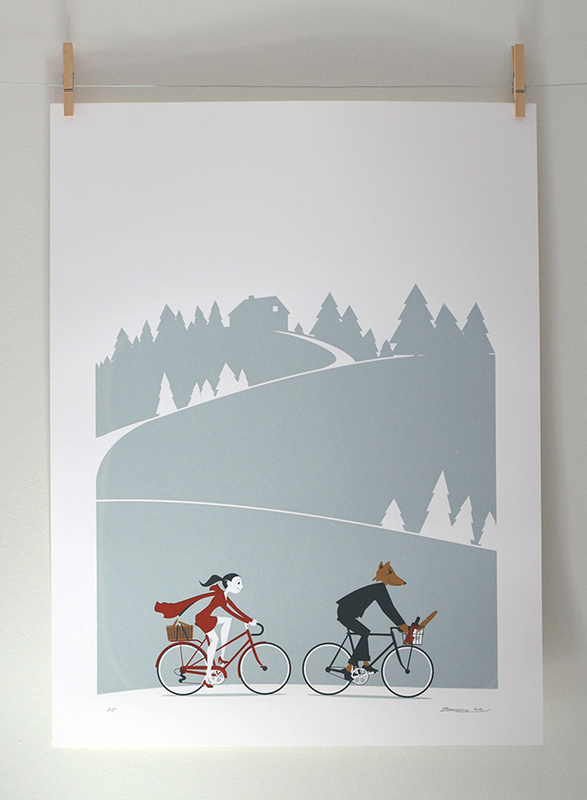 After all that unpleasantness at Grandma’s house Little Red Riding Hood and the Big, Not-so-bad-after-all Wolf got to talking and discovered they shared a passion for cycling. 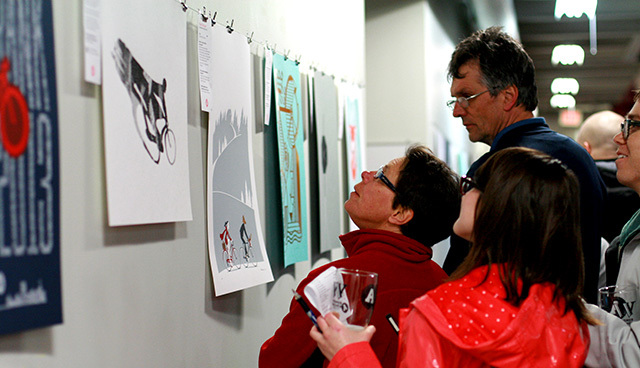 Our poster for Artcrank Minneapolis 2013 celebrates the love affair we all have with cycling and the way it brings us together as a community. Printed in an addition of 55. Four custom colors on 110 lb., 19×25 inch Smart White from French Paper Company. Available in our Shop. There was an incredible turnout (about 6000) for the show despite a rather cold and rainy day. 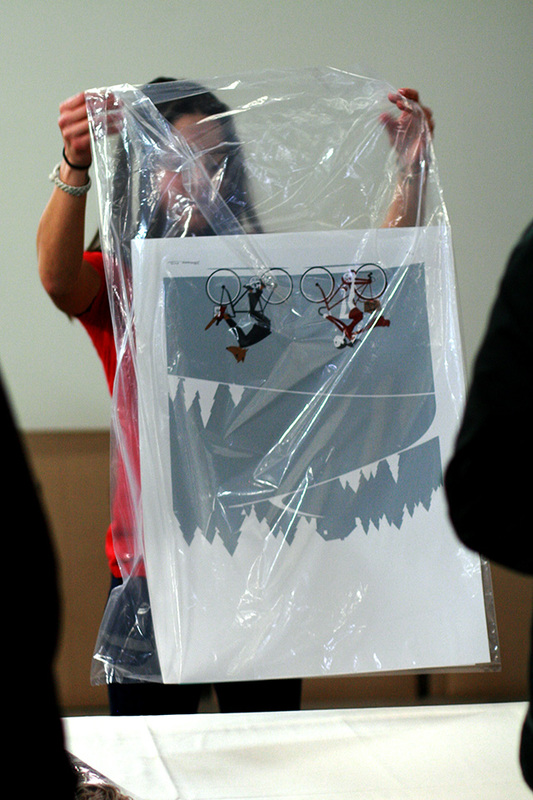 We enjoyed seeing people’s reactions to our poster as much as watching them get rolled up to go to good homes. The 45 we sent to the show sold out but we’ve got a few extra and we’re printing a second edition for the shows extended hang at One On One and Handsome Cycles.